A retired Newark police lieutenant being processed for a domestic violence arrest shot and killed himself inside a police station in Bloomfield, New Jersey, sources said. Brian Thompson reports. 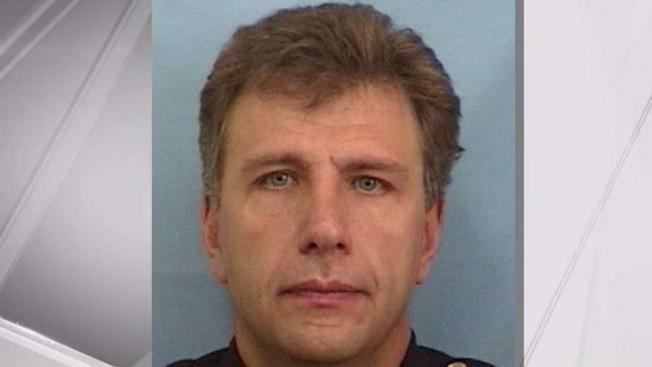 A retired police lieutenant fatally shot himself inside a police headquarters in New Jersey after he was arrested over a domestic violence incident. Montella was in the process of being released when he lunged for his old service weapon -- which had been collected during his arrest -- and shot himself, sources said. The president of the Newark police union FOP Lodge 12 said the incident "has shaken the Newark Police Department to its core." "Except for our newest members, everybody knew Pat Montella and/or his wife Corrine. Pat was a well-respected man who was always there for his cops. His death has left us all at a loss for words. We have been in touch with Corrine and she knows we are here for her and will help her get through this any way we can," FOP Lodge 12 president James Stewart, Jr. said in a statement.